After looking at many properties, you finally settled on the home you will purchase. Your Realtor was great, youbve already recommended him/her to your friends. Of course you obtained that bvery valuableb pre-approval letter the Realtor wanted you to have, now the mortgage process truly begins. But, can you really be approved, and will you make it through underwriting? 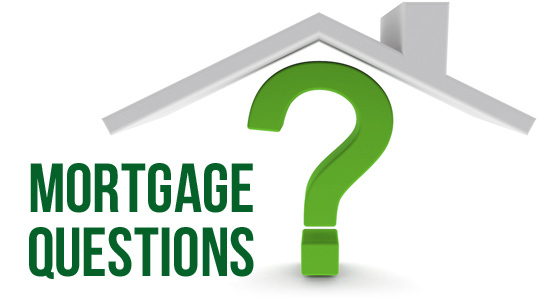 In order to correctly respond to questions of all types, which relate to the type of mortgage and term of loan, a Mortgage Loan Originator will need to know more about you and your abilities. Most importantly, a licensed professional will help their client determine how to choose the loan and terms correctly. How much can you afford to pay monthly? Should you go conventional, FHA,VA or some other loan type? Should it be a fixed term over 15, 20, or 30 years? What if you only plan on this being a starter home for the next 4-6 years? Perhaps an ARM (adjustable rate mortgage) is a better choice? If itbs an ARM, what index and margin? What do you do if you donbt have enough saved for a down payment, but your income is sufficient to cover the monthly obligation, then must you put 20% down? but then you will be hit with mortgage insurance? Consideration needs to be given for every question in order to get through the process properly. A mortgage loan originator will listen and run multiple scenario possibilities, giving you the time you need to properly evaluate and select the wisest approach that best fits your needs. Do you feel like your credit report is spying on you? Sometimes it seems like just about everything personal is included in your credit history, including your name, address and Social Security number. Even your date of birth is on it. But you still have a few secrets even your credit report doesn’t know. Here are seven items that lenders won’t see when they pull your credit report. Why refi? There are many reasons to refinance a mortgage. You probably can think of the first one, to get a lower mortgage rate. Lenders today are offering great rates making a refinance a no-brainer for many. Convert an ARM, get a mortgage on a paid-off house, cash out to consolidate debt, cash out to buy other property, consolidate two mortgages, dddress family matters. No matter how heavy it feels, bad credit doesnbt last forever. Even if you made a total mess of your financial life at one point, after a certain amount of time, most of those financial mistakes will be expunged from your credit report. For unpaid or delinquent accounts, the time period is 7 years. For Chapter 7 bankruptcies, itbs 10 years. Misunderstandings or errors can result in a debt overstaying its welcome on your credit report. 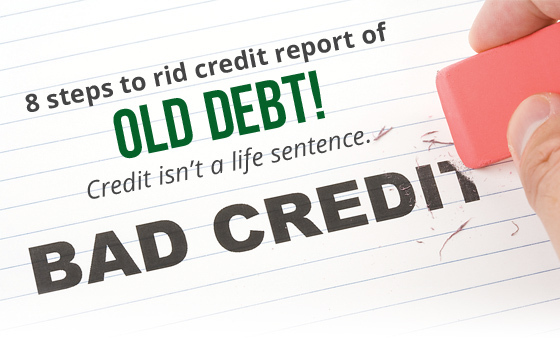 If old debt is still haunting your credit report, you donbt have to live with it. Here are eight steps to get it off your credit report and out of your life. Verify the age: A factor in fighting old debt? How old is it really? No separate clock for sold-off debt: No matter how many times a debt is sold, the date that counts for the 7 year clock is the date of delinquency with the original creditor. Get all 3 of your credit reports: Your three credit reports from consumer reporting agencies Equifax, Experian and TransUnion are not identical triplets. Send letters to the bureaus, Send a letter to the reporting creditor, Get special attention. If your initial letters donbt do the trick, direct your next letter to the presidentbs attention at the companybs headquarters address. You get a different kind of response from the office of the president than you do from customer service. Last but not least and the last steps you might consider taking is to contact the regulators and talk with an attorney. You might be ready to buy a home, but are you armed with the knowledge you need? Do you know about credit score requirements? Are you familiar with flexible standards on home loans today? Whether you are a first-time homebuyer or an experienced owner, buying a house requires a “preflight check. Strengthen your credit score, figure out how much house you can afford, save for down payment and closing costs, build a healthy savings account, get preapproved for a mortgage, and then buy a house you like.